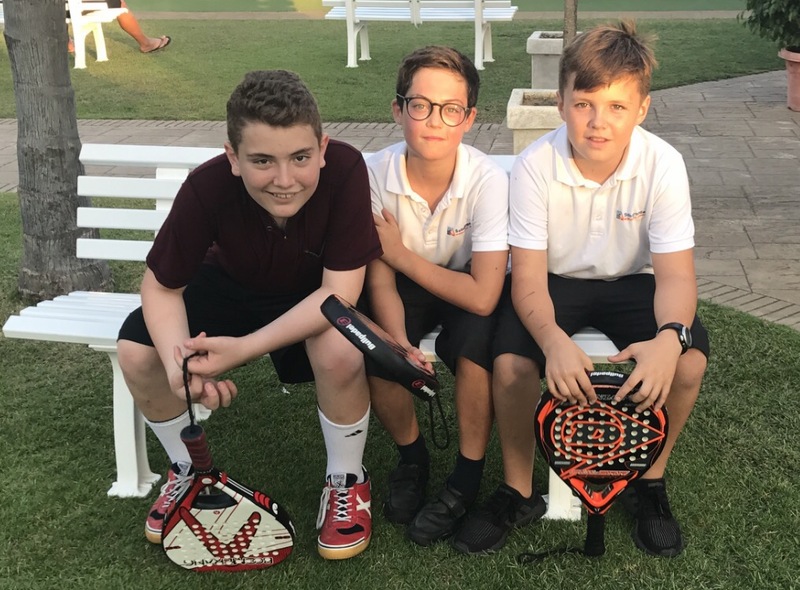 When we made the decision to send Jackson and Cassius to Sotogrande International School this fall, we hoped it would provide them with a unique experience that was different from the one they obtained last year in Granada. We still wanted them to be immersed in Spanish culture, and Spanish kids do make up more than 30% of the school population. 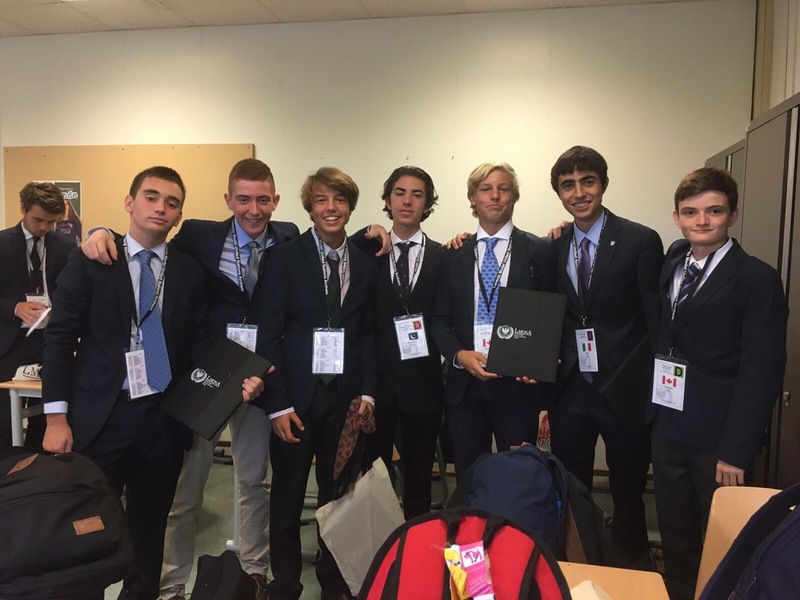 However, with more than 40 nationalities present at the school, we also hoped that Sotogrande would give Jackson and Cassius a sense of the world beyond what they had obtained as tourists in all of our travels a year ago. 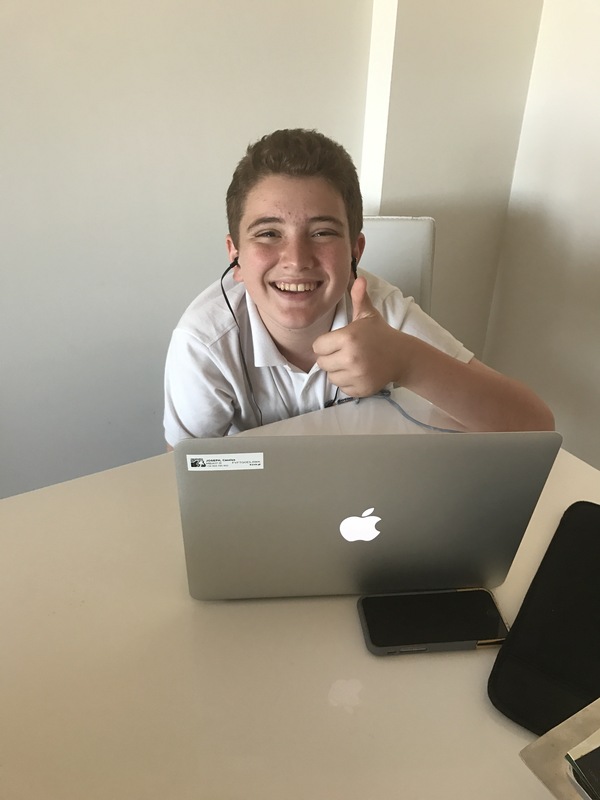 In addition, since courses were taught in English, we really hoped that SIS would give Cassius the chance to continue learning Spanish in an environment that was a better fit for him while Jackson would be given the opportunity to accelerate his Spanish with other fluent Spanish speakers. So far, SIS has exceeded every expectation by a wide margin, and we honestly feel grateful every day that our sons have the opportunity to go to school here. It’s been that positive. 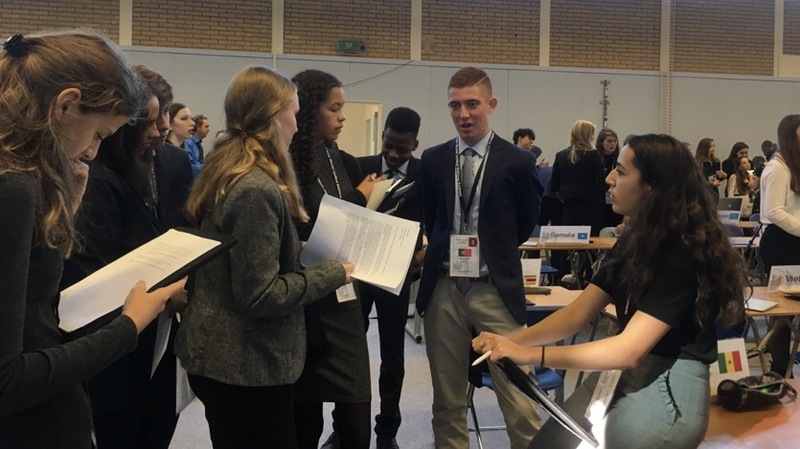 At SIS, they really do live and breathe all of the ideals of an International Baccalaureate Program – from their innovative curricula to their efforts to help students understand a complex, changing world, and their place within it. 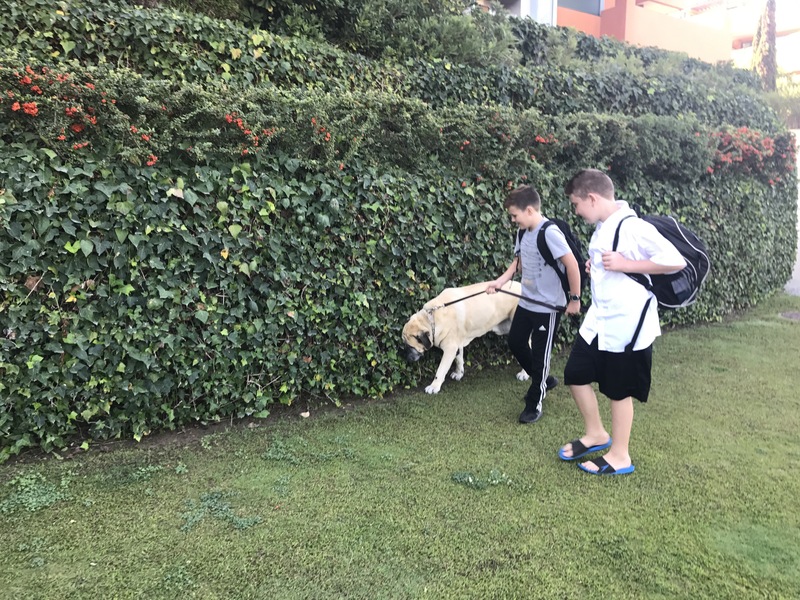 In only the second week of the year, both boys headed out on class bonding trips with their peers and teachers as a way to get to know one another a bit better. This was particularly nice for new students, and Jackson and Cassius were excited for their respective trips. 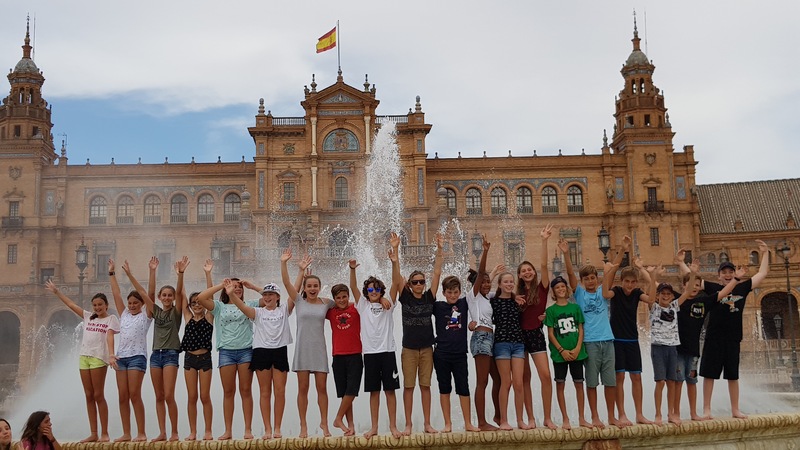 Cassius’ class went to tour beautiful Sevilla while Jackson’s class spent two days windsurfing and hiking at the beach in Tarifa and Bolonia. It was a strange feeling for the four of us, as this was the first time since our kids had been born that all four of us had slept in different places–with KB still in the US. However, this seemed more traumatic for the parents, as both boys had a fantastic time on their trips. 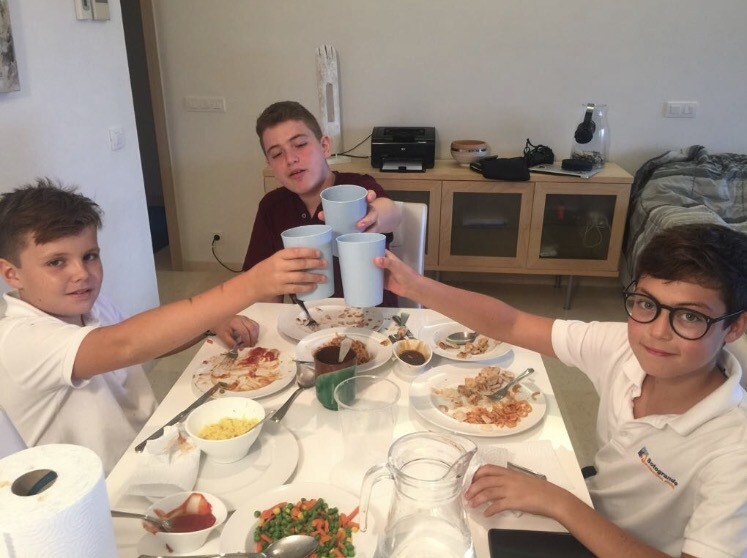 They roomed with kids from the England, Spain, Ireland, Malaysia, and Russia, and returned with a shared experience with new friends–each of whom had their own unique story and culture. It couldn’t have gone better. Since returning, the boys have been immersed in really interesting and engaging work at school. It is very different, and the biggest difference I have seen as a parent is there is no busywork and almost no homework–at least not in the traditional sense. Each student has a computer and there are lots of labs, projects, and explorations. 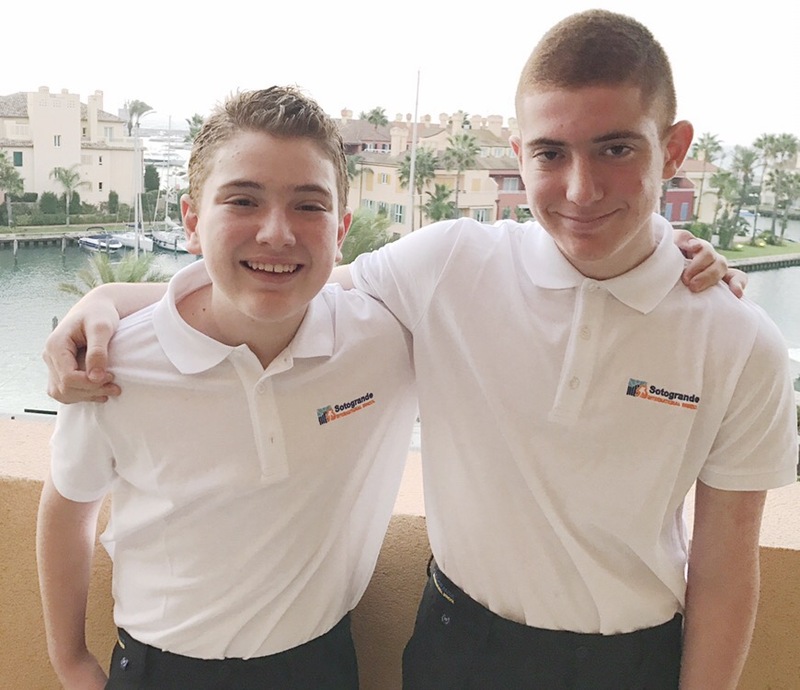 In addition to traditional subjects like English and Math, Jackson is taking physics with 6 classes a week and both boys are in a Design course–with Cassius learning photoshop and Jackson learning to build a website and an app. The work they are assigned is thoughtful and, above all, practical. They are continually working to establish real world correlations, and the boys are engaged in a manner in which we haven’t seen before. Jackson is suddenly excited about science and Cassius has been inspired by a course called Individuals and Societies. He has also been inspired by his design course and his drama class–which led to him auditioning and earning a part in the school play. As a parent, seeing your kids enthusiastic about what they are learning seems like just about all you can ask for. Their teachers, across the board, are dynamic and fun and inspiring, and they really deserve a lot of credit for the way the boys are feeling about school. It should be noted that it is hard to believe the opportunities kids have at a school like SIS. Cassius has already swam for the school at a swim meet in Marbella and is in the Debate Club. 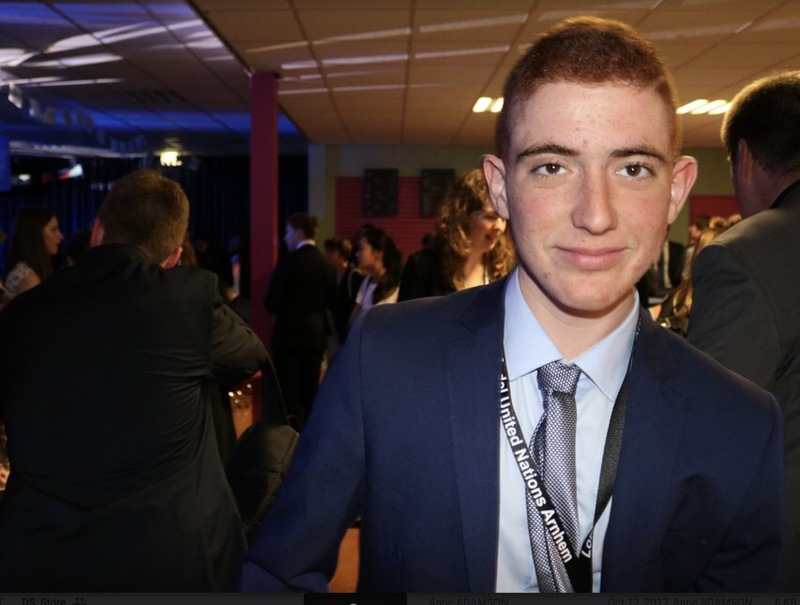 And Jackson traveled to Amsterdam last week with 14 students representing SIS at a Model UN conference. He represented Portugal in the UNESCO group, learned so much about policy and the world, and made a number of new friends. The environment was challenging and interesting, and Jackson really seemed to thrive in the daily sessions. 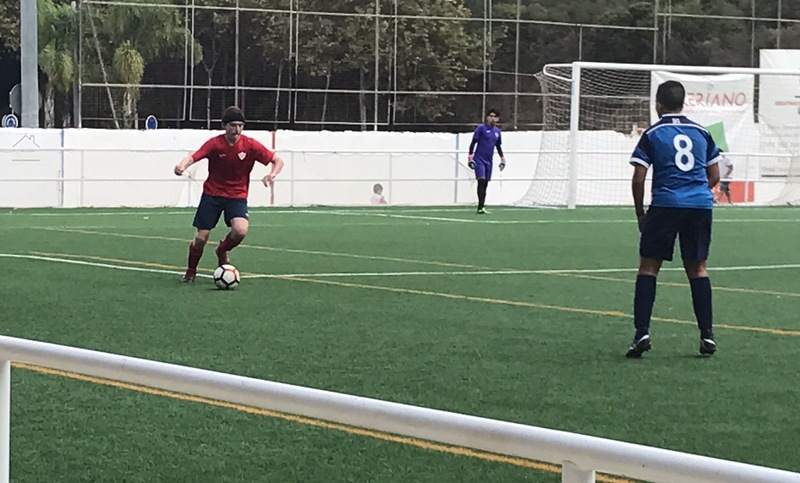 Jackson also earned a spot on the school fútbol team that will be traveling to a tournament in Portugal later this month. 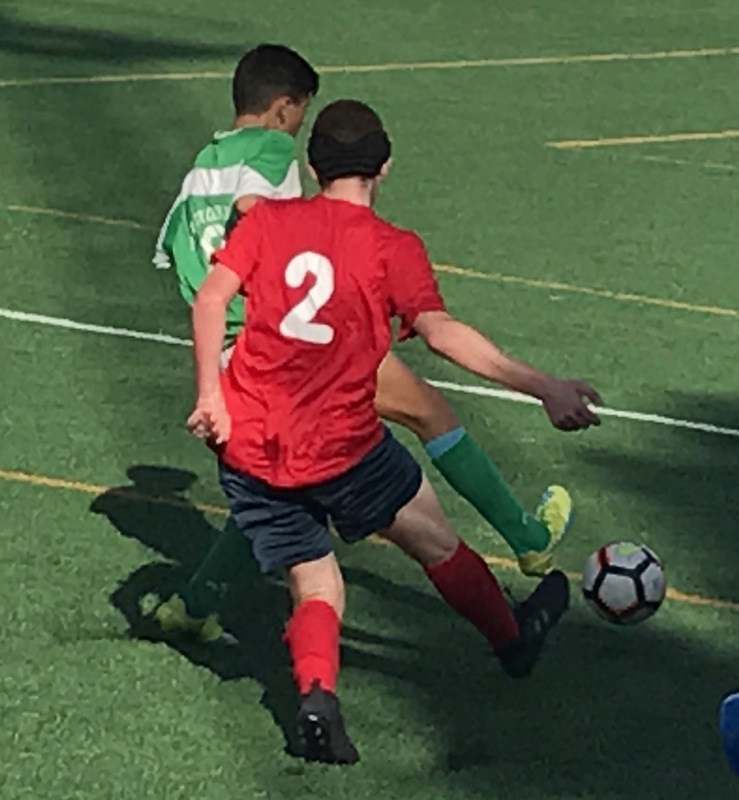 Beyond their academic and athletic pursuits at school, Jackson is playing futbol for CD Guadiaro, a team from the nearby pueblo comprised primarily of Spanish kids. 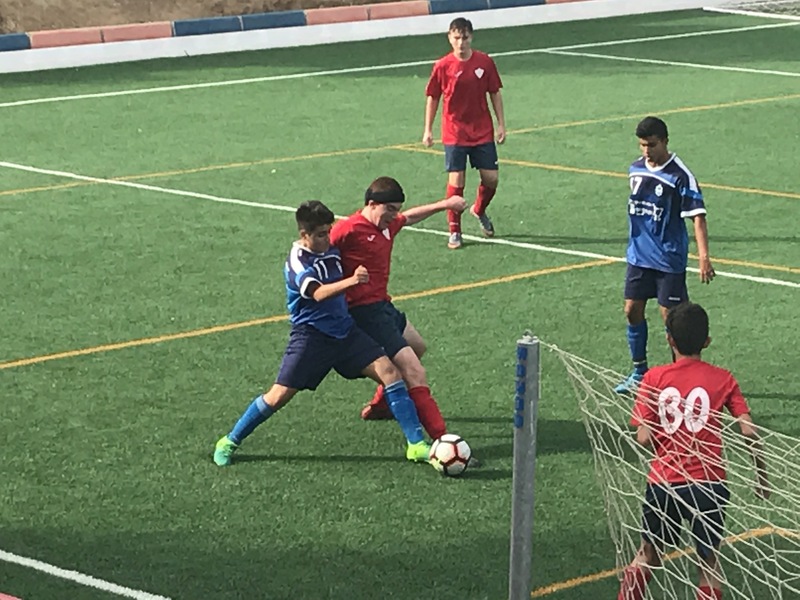 His coach grew up playing for Guadiaro and rose to play professionally at the highest level in La Liga against Beckham, Zidane, Ronaldinho, and the world’s best players. 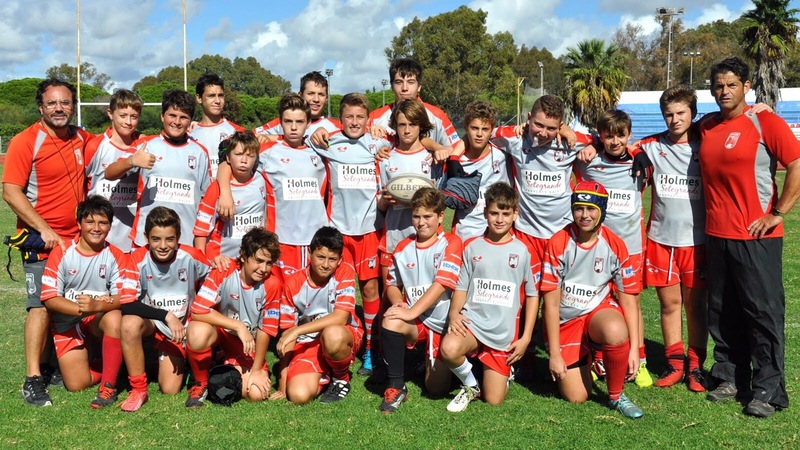 Their team won their Campeonato in the province of Cadiz last year and want to make it back to back titles. Jackson is starting on the back line and has fit in well with his teammates. 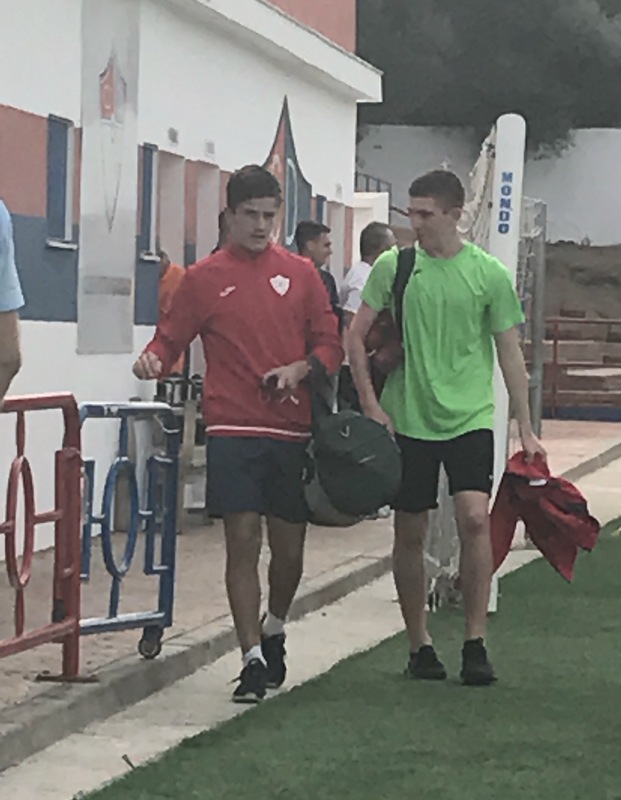 After waiting so long to obtain his ficha from FIFA and the Spanish Federación a year ago, it has been a great feeling for Jackson to be able to step in and contribute on the pitch from the start of the season. 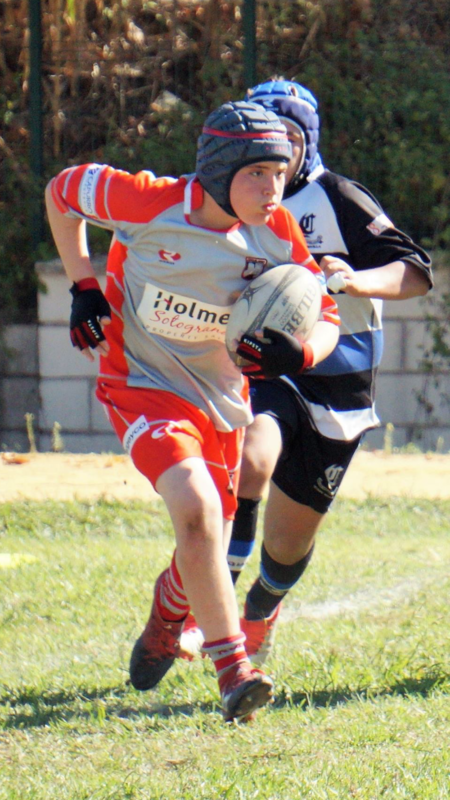 As for Cassius, he continues to swim and play fútbol and Padel, but he has discovered Rugby! In the absence of American Football, he has learned there is a sport on this side of the pond for big, physical boys like him. 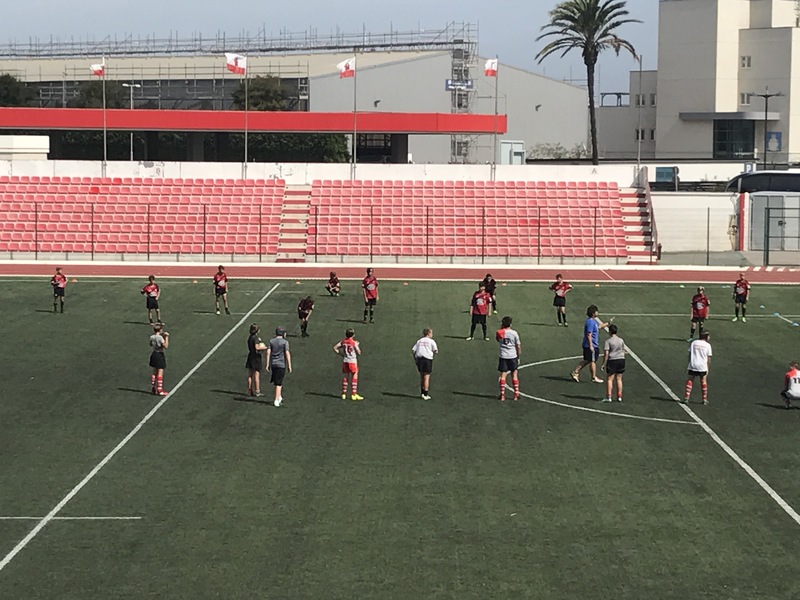 He played his first game for Club de Rugby del Estrechó outside of Spain–when his club defeated Gibraltar in the shadow of the great rock, and he has already played against teams from England and Spain as well. Most importantly, he is having an absolute blast. His Coach Adrian played professionally in the U.K. and has a great perspective on the game where he genuinely just wants the kids to learn and have fun. Cassius likes carrying the ball, making tackles, and being in the scrum. It’s been a lot of fun so far! Lastly, the biggest change this year has been the ability of the boys to make friends easier (and more quickly) in a more international environment. The coast is not quite as territorial as Granada, and they have been much more accepting of a couple of American boys. Cassius has made two close friends at school. Cian’s parents are from Ireland and Sweden, and Marko is from Russia, so the boys are learning a lot from their different backgrounds. But they have bonded over a shared love of movies and video games. They have already had multiple sleepovers, so Cassius’ social life seems to have taken off. 🙂 Most of Jackson’s closest friends have come from his fútbol team it seems, but he made some new friends on his trip to Amsterdam. So the boys are branching out, and it has been wonderful for us to see. A couple nights ago, I went in to say goodnight, and Jackson said to me, “Dad, this school really is incredible.” It was reaffirming to hear, and it made all the efforts to get here seem worth it. At the same time, it made us think of their experience at school in Granada a year ago. It really was a challenging environment, and they had to fight to be respected day after day. It wasn’t easy, but they learned how to survive against the odds, and they ran against the wind for an entire year. They haven’t forgotten how difficult school was last year, and that experience has provided them with a different perspective. As wonderful as SIS has been, Jackson and Cassius are in a better place to appreciate it because of what they’ve been through. Jackson and Cassius have always expressed gratitude for the opportunities they have been given, but there is nothing like a little real perspective to help comprehend how lucky you are. Wow! 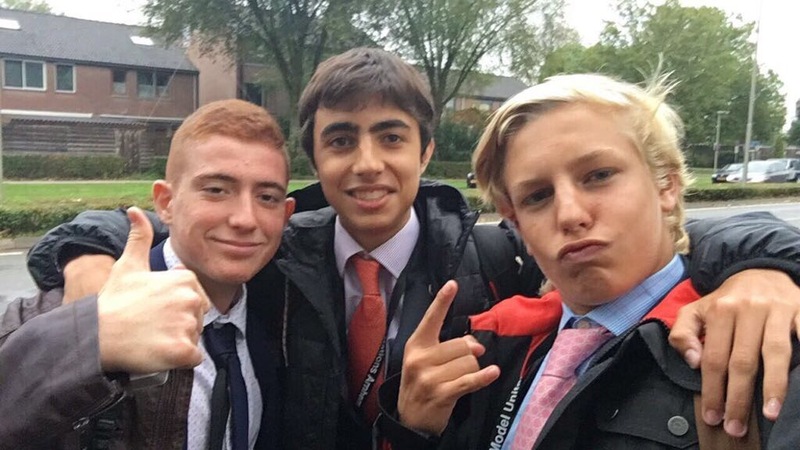 Looking good boys. This grand opportunity has not eluded any of you. I always remember (incorrectly) the blog name as vidagrande! Maybe a little more correct than I thought! Thanks so much Uncle Eric! The boys are doing well and we are all trying to make the most out of this unique opportunity. Hope you had a great time visiting Alana in Italy!